BOSSIER CITY, La. 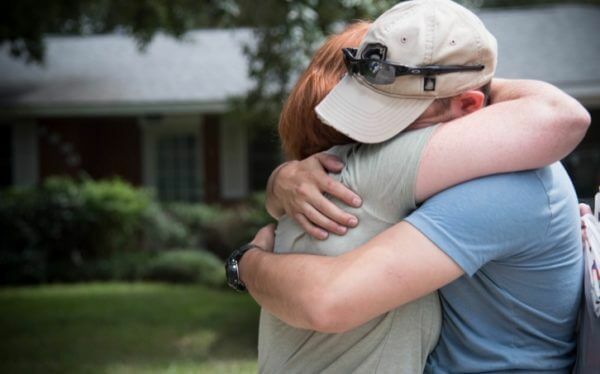 – The Louisiana Department of Veterans Affairs (LDVA) is grateful for all of the volunteers that help at our parish service offices, cemeteries, and veterans’ homes. We are especially thankful for those that come out on a consistent basis and enrich the lives of the men and women who’ve served or country and now reside at our homes. 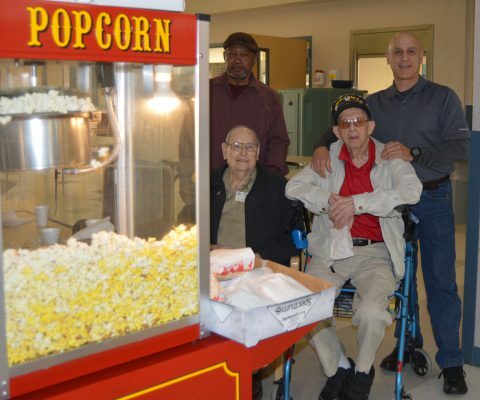 LDVA’s Northwest Louisiana Veterans Home (NWLVH) has a consistent group of veterans that serve popcorn, while providing service and friendship every single Thursday. The NWLVH Veterans Auxiliary Committee funds the popcorn and supplies, but it’s the volunteers that make it all come to life with the razzing and the story telling. “The rivalry between branches of service is alive and well here,” jokes Rivera who is the longest standing volunteer having visited the NWLVH residents for the past ten years. But, while volunteers come for all sorts of reasons, they stay for the bonds they form while there. 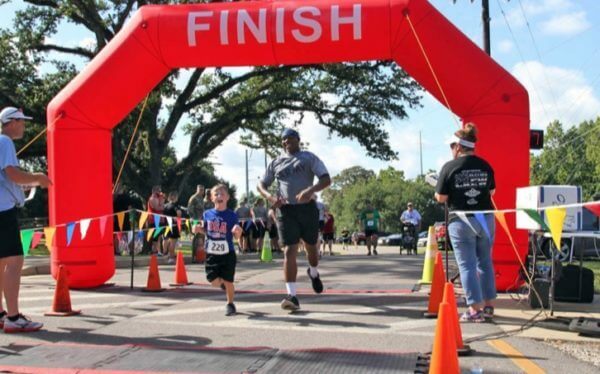 “I get as much out of it as the vets that live here do,” says Conway who encourages other veterans and community members to come spend time at the Bossier City, La., home. One of the most impressive of the “Popcorn Crew” volunteers, as they are lovingly referred to by residents and team members, is WWII U.S. Army and U.S. Air Force veteran Bill Taylor. At 93 years young, he says he enjoys visiting the home and his friends who reside there. Because Taylor spent 22 years in the military, being of service is ingrained in his soul. The “Popcorn Crew” shows us that there are many ways to brighten the lives of the men and women who live at LDVA’s five world-class homes. To find out how you can volunteer or be of service, please contact your local LDVA Veterans Home.